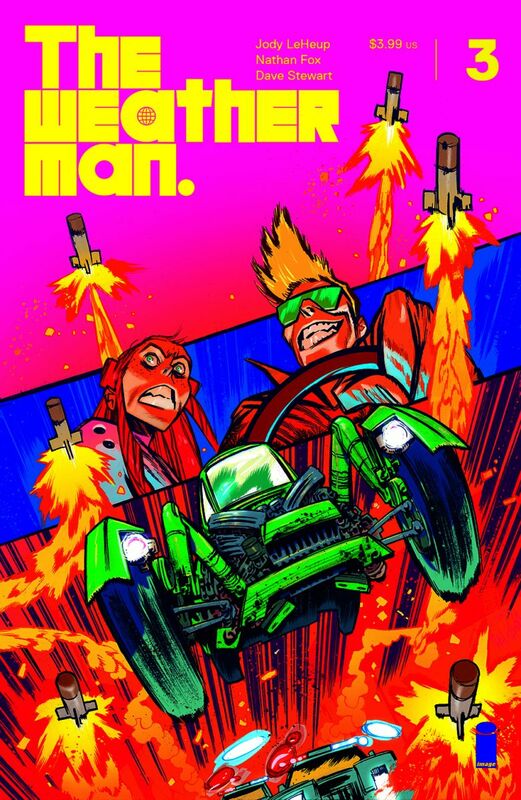 PORTLAND, OR, 7/19/2018 — Image Comics is pleased to reveal a jaw-dropping, limited THE WEATHERMAN #3 cover featuring eye-popping artwork by James Harren (RUMBLE), with colors by Nathan Fox. 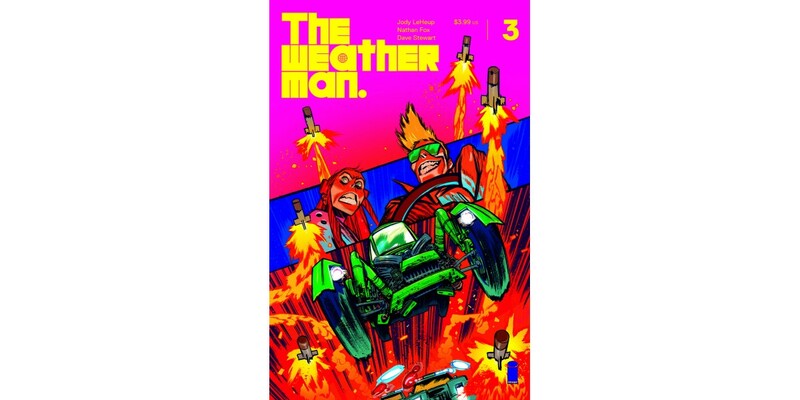 THE WEATHERMAN #3 hits stores on Wednesday, August 15th. 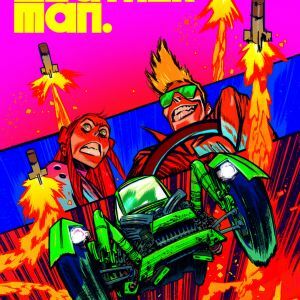 The final order cutoff for comics retailers is Monday, July 23rd.